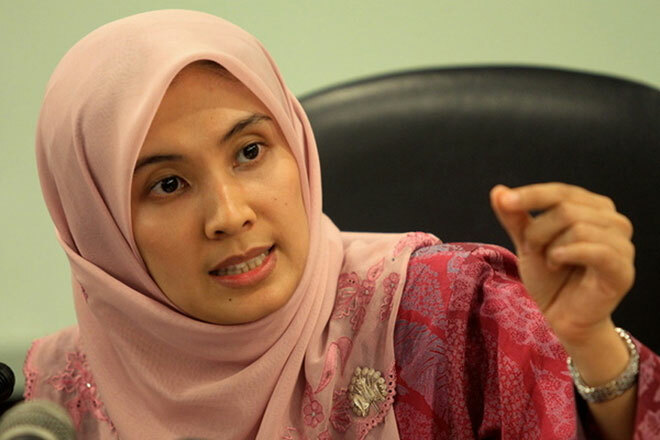 BUKIT MERTAJAM: Parti Keadilan Rakyat (PKR) vice-president Nurul Izzah today expressed her views on the party’s election next month with many wanting it to be carried out openly without fear or favour including the president’s post. When expressing her views, Nurul Izzah appears to have made it clear that her father, who is also PKR de facto leader Datuk Seri Anwar Ibrahim is the most qualified person to hold the president’s post and steer the party. “I give my opinion as one who has been with the party since its inception on April 4,1999. “To me, (when) we see the history of the establishment of any party, it will surely have its sentiments, its context and there will be a continuity for progress. And the name of Datuk Seri Anwar Ibrahim is inseparable from the party in that sense,” she said here today. The Permatang Pauh MP said this when asked to comment on the statement by PKR Women Chief Zuraida Kamaruddin who wants the party to open all positions up for contest, including for the top post in the upcoming party polls next month. “We compete, we hold office not to become a president, deputy and so on but to facilitate us as a party to carry out reform policies and welfare programmes for the people,” she told reporters after presenting Certificates of Excellence at the 2018 Awards Day at Sekolah Menengah Islam Al- Masriyah here today.